Rent a 13.3" MacBook Pro (early 2015) with 2.7 GHz Intel Core i5 processor, 8GB RAM, Microsoft Office / Apple iWork pre-installed. Great option for presentation input source or media playback to TV's or projectors. 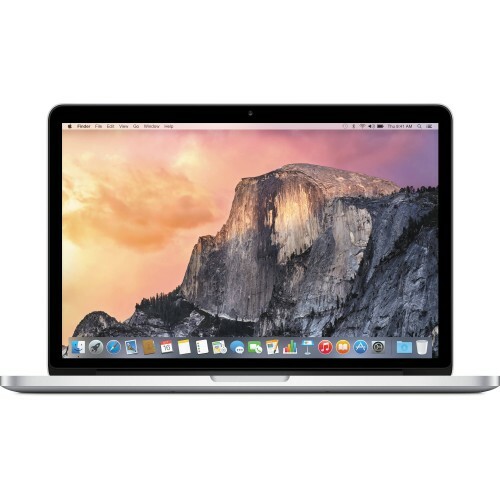 The 13.3" MacBook Pro Laptop with Retina Display (Early 2015) from Apple is a powerful notebook computer with an innovative, ultrathin, ultraportable aluminum unibody design. It is loaded with advanced power management features and an integrated lithium polymer battery, which work together to provide up to 9 hours of wireless web browsing.